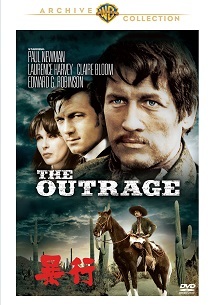 The Outrage （ｃ） 1964 Turner Entertainment Co. and KHF Productions. Package Design （ｃ） 2018 Turner Entertainment Co. and Warner Bros. Entertainment Inc. Distributed by Warner Home Video Inc. All rights reserved.